The Great Outdoors is a place where dear ol’ Dad can let loose, wet a line and create memories that will last a lifetime. 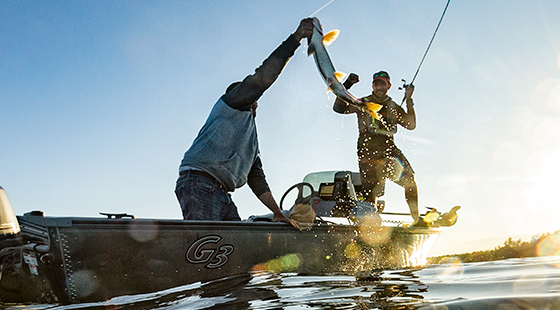 This Father’s Day, help the old man fall in love with his favorite pastime all over again by hooking him up with best-in-class gear from Rapala® and Respected Rapala® Brands. From the world’s favorite lures and strongest fishing lines to must-have accessories and outstanding apparel, the following Father’s Day gift ideas are sure to take Dad’s fishing fervor to a whole new level, whether he’s an accomplished everyday angler or weekend warrior. 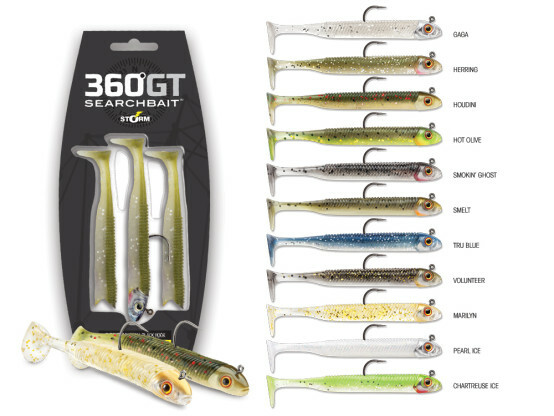 The latest and possibly most versatile bait from Storm® — the new 360GT Searchbait™ — offers Dad the perfect confidence lure to help him catch his limit anywhere, anytime. A dynamic searchbait, this lure allows anglers to efficiently cover water and uncover more fish. Once Pops locates his target species, he won’t even need to switch up his presentation. The 360GT Searchbait boasts a natural swimming action fish can’t refuse. And, fishing it couldn’t be easier. Simply cast it out and reel it in with a steady retrieve. Creating the ultimate illusion of natural movement, the 360GT Searchbait pairs a lifelike, single-ball rattling jig head, a realistic, phthalate-free soft body and 3D holographic eyes, with a toe-in boot tail that elicits incredible action at any retrieve speed. Each 360GT Searchbait is easy to rig, and comes equipped with an exclusive VMC® Coastal Black™ hook with an extended “leg” on the line-tie added to further enhance its action, and is available in a wide variety of color patterns to perfectly match regional forage species anywhere. Simply put: This one fishes circles around every other bait. When he ties it on, Dad better hold on tight and be ready for action. Two instant classics, the introduction of the Rapala® Shadow Rap® and Shadow Rap Shad® shook the angling world. After a day on the water tossing these killer baits, dear ol’ Dad will understand exactly why. With unique movements that mimic the last moments of a dying minnow and shad respectively — two of the most common forage species in U.S. waters — the original Shadow Rap and Shadow Rap Shad were painstakingly designed to feature lifelike profiles to create innovative presentations that have proven to fool Bass and other game species time and time again. Unlike most jerkbaits, the Shadow Rap kicks almost 180 degrees right, then left, with each flick of the rod, allowing it to be fished nearly in place with little forward travel, keeping its slow flickering fade right in the strike zone longer than ever before. The latest addition to this acclaimed family of baits, the Shadow Rap Shad triggers bites in three ways: 1) on the kick, 2) with a slow, seductive rise, and 3) with a snap back to life. Both Bass-bustin’ models come in standard and deep varieties, and in several attention-grabbing finishes, allowing Pops to find fish no matter where they lurk in the water column. You don’t have to spend a fortune to help Dad land lunkers all year long. Unlike other braided lines, Sufix® 832 Advanced Superline® — the strongest, most durable line on the market — is a great gift that will help your favorite angler avoid devastating breakoffs without breaking the bank. 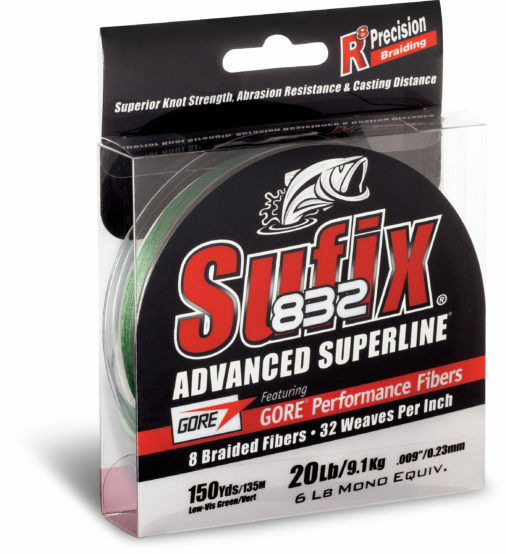 Now available online and at sporting goods retailers nationwide at a lower, more affordable price point, Sufix 832 is formulated with eight fibers — seven Dyneema and one GORE® — at 32 pics (weaves) per inch and is the only fishing line to combine both fiber types. R8 Precision Braiding and fiber technology provide the line with superior strength, roundness and line consistency. GORE® Performance Fibers improve abrasion resistance, increase casting distance and accuracy, and reduce line vibration. HMPE fibers provide high strength and sensitivity, hydrophobic water-repellent protection and a small diameter. This tried-and-true line comes in five color options, is available in tests running from 2-to-80 pounds, and can be purchased in five different spool sizes, ranging from 150 yards to 3,500 yards. If your father is a topwater diehard, he won’t be able to get enough of the new Terminator® Popping Frog. Built with a cupped face that creates a loud, strong pop, this frog drives fish crazy by causing a major commotion in otherwise calm waters. And, unlike lesser frog baits, the Popping Frog’s extra soft-body boasts a custom-designed weight shaped and positioned to help the bait compress easily when fish bite, delivering increased hook exposure and ensuring Dad will convert more strikes into adrenaline-filled fights. Featuring a razor sharp VMC® frog-gap hook, round-rubber legs, a heavy-duty welded line tie and lifelike detail from nose to rear, the Popping Frog is also tail-weighted to increase casting distance and stability on the retrieve. 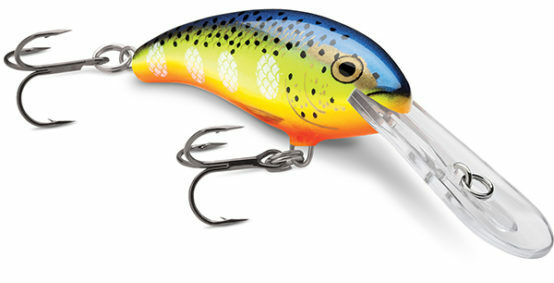 The lure is 2 ½ inches long, weighs 9/16 ounces and comes in 16 lifelike color patterns. A favorite bait type for Bass anglers everywhere, this fresh take on frog fishing is sure to become a fast favorite. Provide dear ol’ Dad with an edge on the water by gifting him the new Rapala® Shad Dancer®. Swimming with a silent but aggressive, hard-thumping and sweeping tail action, the lure offers all the excitement of a Rapala Tail Dancer® in a shad-profile bait. An especially effective lure when targeting Walleye, the Shad Dancer also boasts true multi-species appeal, making it a great option for a host of coveted gamefish. It features a tough balsa body that can stand up to the toughest of battles with gamefish and two VMC® Black Nickle Round Bend Hooks. Perfect for both casting and trolling, the lure dives between 7-to-10 feet and is available in 16 color patterns. Rapala® is best known for its ultra-effective, lifelike balsa lures. However, the most trusted name in fishing doesn’t stop there when it comes to gear to make anglers lives’ easier. 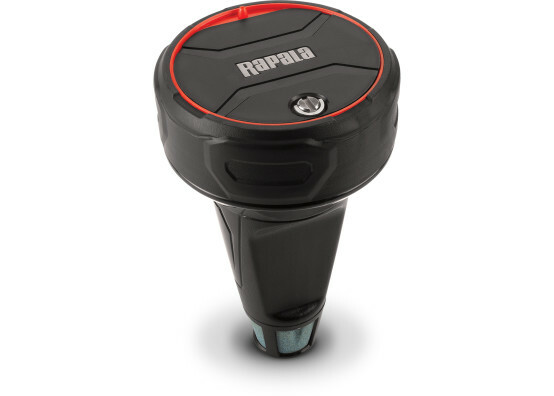 Ensuring Dad’s dollars will go further than ever at his favorite local bait shop, the brand has introduced the Rapala Floating Aerator, a compact accessory that makes it easier to keep live bait kickin’ longer. The product may be small in size but it offers big-time results! The new Floating Aerator keeps bait alive by gently mixing air into water, aerating 1.5 liters (0.4 gallons) per minute. Ideal for most bait-storage containers or enclosures, this portable device features a floating, water-activated switch, air-release stone and offers 18 hours of continuous run time. When it’s set to run at 15-minute intervals, it will provide 36 hours of run time. The Old Man won’t mind taking the time to carve up the day’s catch with Rapala’s new Lithium Ion Cordless Fillet Knife Combo. The fillet’s cordless design means fish can be filleted in minutes, making it especially helpful when the sun is setting on a long day on the water. 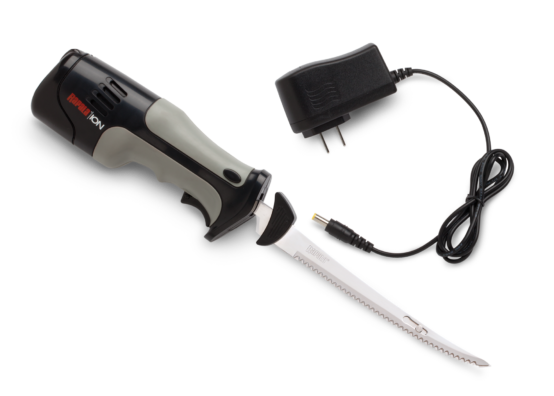 The Lithium Ion Cordless Fillet Combo includes one cordless knife body, two lithium ion batteries, a 6-inch and 7 ½-inch reciprocating blade and a wall charger. It is all packed into a convenient EVA-padded storage case. Lithium ion batteries provide consistent speed and torque from fillet to fillet, without reduced power or slowdown as battery power wanes, producing 80 continuous minutes of run time per battery. The knife’s comfortable, relaxed grip provides fatigue-free filleting. An advanced airflow design keeps the knife motor running cool and smooth. This Father’s Day, show Pops you care by helping him look his best — on and off the water — with the fit that keeps on giving: stylish and functional apparel from Rapala® and Respected Rapala Brands. As comfortable as they are durable, these T-shirts, long-sleeve shirts, sweatshirts, hats and jackets will ensure Pops is dressed for success, whether he’s tangoing with a toothy Pike, jigging for Walleye or hauling in hawgs. 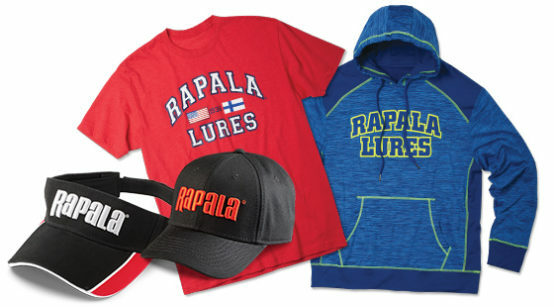 Rapala and Respected Rapala Brands apparel offers the right fit for any season. And, with overnight shipping available (if ordered before 1 p.m. CDT), you’ll have these great gifts in-hand in no time, even when you order at the last minute. Visis Rapala.com for pricing. This entry was posted in Rapala, Storm, Sufix and tagged 360GT Searchbait, Rapala, Shadow Rap, Shadow Rap Shad®, Storm, Sufix, Sufix 832 Advanced Superline. Bookmark the permalink. Wow that cordless fillet knife is a great idea. My dad loves fishing and gadgets this would be ideal! Glad we could help with a gift idea!